At Deeter Mazda we know you think a lot about where to take your car when it needs a little checkup or a repair. Bring it by the Deeter Mazda Service Department to be sure you are getting your car the best care possible. Don’t be fooled by some of those other places that use substandard replacement parts and only see dollar signs when you drive up in your high performance machine. 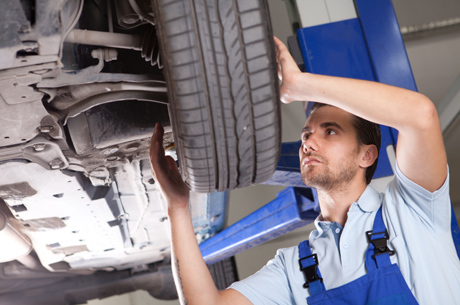 The Deeter Mazda service department cares about your safety and the life of your car. At Deeter Mazda we know you care about what goes into your Mazda and we know you want something that isn’t going to make you break open the piggy bank. At Deeter Mazda we have a service department filled with knowledgeable mechanics who will make sure everything is secure and they’ll do it quickly. The Deeter Mazda service department will make sure you are back on the road in safe vehicle running smoothly in no time.